Are You Really Making Money With Your Rewards Credit Card? The credit card industry is well known for having all sorts of different incentives to get you to sign up. One incentive that has lasted for ages would have to be the rewards credit card. From miles, to points to other prizes for usage, it’s clear that this is a tradition that’s going to stick around for a while. But are you really making money on this incentive, or just kidding yourself? Some see rewards cards as the perfect way to make a little money back that would otherwise be out the door. When you use the credit card, you’re essentially getting money today at the prize of paying it back later, with interest. If you can’t pay the money back, that’s when you really have trouble coming your way. It’s best to make sure that you are still being responsible with your card, whether it has rewards or not. Renting a car or making hotel reservations so much easier when there’s a credit card involved. Still, the question nagged at us enough to make another guide. If you’re going to get a rewards card, make sure that you read the fine print. You want to make sure that you are going to be able to get actual rewards from it. Sometimes rewards aren’t unlocked unless you reach a limit amount of spending. If a high limit card is in your reach, weigh your options. The nice thing about the industry is that it’s very competitive. Just about everyone wants you to check out their card, even though the features probably aren’t that different. 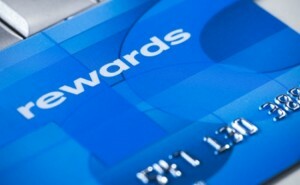 The interest rate on a rewards card might be higher than what you like. Others like them because the points you earn actually help lower the annual fee down to where you might not have one at all. You have to think about your overall spending pattern. Just how do you spend? If you’re the type that runs up the card every month and then pays it off, you might want to back off. On the other hand, you still need to try to use the card occasionally to make purchases. If you aren’t using the card, then it doesn’t help you improve your score. There’s nothing to report, which means that it doesn’t move your score up or down. Unfortunately, this is a problem when you try to go get a car loan. They want to make absolutely sure that you are going to be able to handle your expenses, and that means that you will need to prove that you can also handle credit. They know that there are going to be basic needs that you can’t get out of paying. You have to be ready, willing, and able to balance both parts of your life. Rewards cards have their place in your wallet. The important lesson here is to make sure that credit doesn’t take over your life. Pay early, not just on time. There could be delays in processing that slow you down if you’re mailing it in the post, and who wants that? It can go on your credit reference file as a late payment anyway, which is not what you want at all. Hang in there! Great credit takes time to build!